Tuna (unless it’s from a can) seems most indicative of a fancy restaurant menu, and less so of being seen on a plate at your own kitchen table, amirite? But seriously – who doesn’t love classy meals from the comfort of their own kitchen? And for a fraction of the cost! 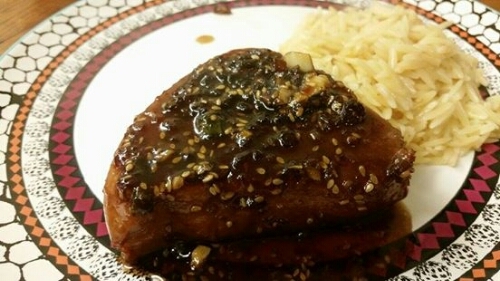 Not too long ago, I made these Teriyaki Tuna Steaks with Wasabi Mayo by Reel Flavor and it was AMAZING. 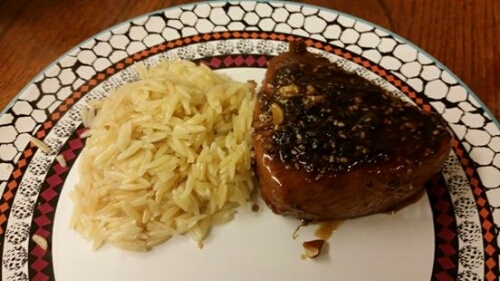 It was such an easy and simple recipe, and aside from the marinating, it was so quick! I love that. I really do not have a single bone to pick with this recipe, as it was, like I said, amazing. Seriously. Well…I must admit that I did cook the tuna a bit longer than the original blogger recommends to do. 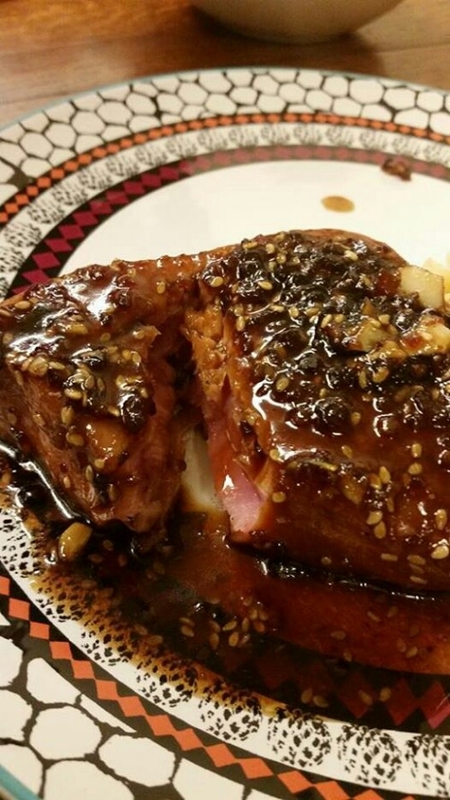 I made seared ahi tuna awhile back, and it was, well, disgusting inside, so I had to cook it a few minutes longer, to the desired raw-ness (if that makes sense). I recalled that this time around, and instead of searing for 30-45 seconds on each side, I seared for about 1.5 minutes on each side (as an aside, Reel Flavor does not say what temperature to sear at, so I chose medium-medium high). As you can see in the pictures above and below, even cooking a few seconds longer kept it pink and somewhat raw in the center. Unless your stove varies heavily from mine (which could be the case), it will not overcook it. I also made sure the pan was already hot before setting the steaks into. -Mix together all ingredients in a bowl, then add tuna. Marinate for 30 minutes or more. -Sear the tuna steaks in a skillet on medium to medium high heat for about 1.5 minutes on each side (more or fewer minutes to your liking). Pour sauce over the steaks as they are cooking. 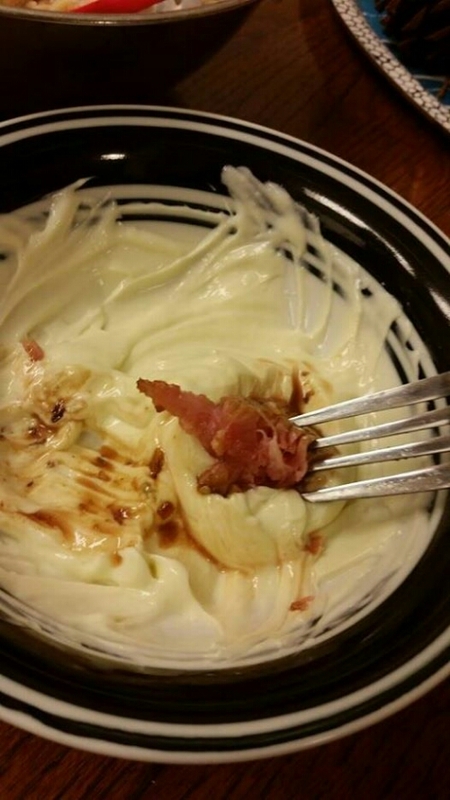 -Mix together wasabi and mayo to your liking and set aside. -Serve tuna hot, with the wasabi mayo for dipping.